Lay back and allow the sounds of healing to soothe away your worries and stress. Enjoy a state of divine relaxation and bliss. Sound healing works a treat during times of stress or worry and induces a state of deep relaxation and calm. Sound is all around us in the form of the spoken word, music, city and nature soundscapes. It has the power to inspire, uplift and energise. When you listen to your favourite song it may fill you with joy or activate you to dance. Being in the sounds of nature can bring about feelings of peace and calm. Sound is known to have a beneficial effect on health and there is a long history of the use of sound for healing. Chanting is the most ancient spiritual practice and drumming has long been used in ceremony and healing ritual. More recently, classical music has been shown the reduce stress and improve mental clarity. 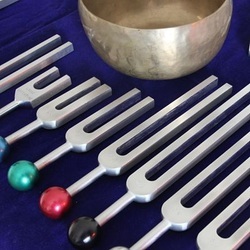 I use tuning forks and singing bowls in these sessions. A tuning fork is a pronged fork with two metal prongs and a handle, often used to tune instruments. In the context of a healing session, tuning forks are used to tune you! Singing bowls are bell shaped bowls (usually metal or crystal) that are struck with a soft mallet or played around the rim. 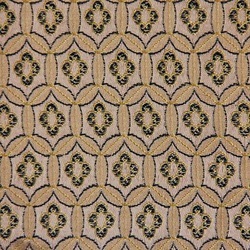 They’re traditionally used by Tibetan monks to enhance the meditative state. In these sessions, sound is applied in a systematic manner along the body energy channels (‘meridians’ in Traditional Chinese Medicine) and centres (‘chakras’ in yogic philosophy). The sounds produce a vibration, or frequency, which clears stagnation in the subtle energy body. The cells of our physical body also respond by changing (or ‘matching’) to the sound frequency which is more harmonious to health. My sound healing sessions can help soothe and heal, activate and release. All sound healing sessions are 60 minutes. It takes most people less than ten minutes to enter a state of deep relaxation. You may drop off during the session. If you do that’s completely fine. You’ll still get the benefits and you obviously need a rest! In the days following a session, many people say they retained a relaxed feeling and have insights into issues they came for. Most people feel the benefit of sound healing after one session. I don’t recommend a minimum number of sessions and you can enjoy sound healing as often as you like. Booking in a regular sound healing session (e.g. monthly, every three months) is a lovely way to re-balance and commit to your self-care. Maintaining a journal in between sessions is a useful way to track your healing and growth.